HMI - How to Work With Travel Influencers - Free eBook! Are you a travel brand with limited experience working with travel bloggers and other social media influencers? Have you received multiple requests from influencers to work together and aren’t sure how to respond? Are you searching for a consistent and effective strategy on how to utilize influencer marketing to promote and grow your brand with a relevant audience? 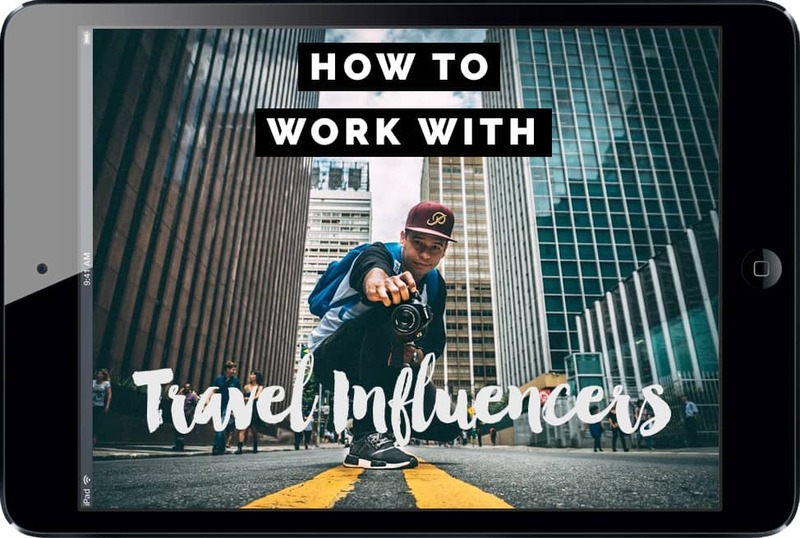 Then this eBook, How to Work with Travel Influencers, is for you. In one sentence: Everything you wanted to know about travel blogging and were afraid to ask. How to work with Travel Bloggers is an ideal introduction into the world of new media professionals and the relationship they have with brands and companies from the tourism industries. With the quick expansion (if not to say explosion!) of blogging and social media, this manual will provide valuable insights to those within the industry who are uncertain about collaborating with travel bloggers by giving them simple and indicative tools that will help them determine if, or rather why, working with social media specialists might be worth their while. And for those who already work with travel bloggers, it gives supplemental ideas of how to plan upcoming projects by setting up measurable goals and tips on how to find the right person for the right project. We found the section on Quantitative Evaluation of travel bloggers quite insightful. We’ve always had a ‘trip request form’ for media, but this book has prompted us to create a new form specifically for digital influencers. As a company who works with travel bloggers on a regular basis, Pete and Dalene’s book has been a fountain of knowledge for us. It covers everything from identifying and evaluating who we should be working with, outlining expectations, negotiating outcomes and evaluating the success of working with influencers/bloggers. HMI’s ebook is a must-read for everyone who is working with travel bloggers. No matter if you are completely new to the blogging scene or if you have already been working on several projects with bloggers. I belong to the latter and still I took so much new information out of it – the chapter with the evaluation of a blog is my favourite part. Dalene and Pete share every bit of their knowledge and back all their insights with useful web-links to stats and data. Their ebook is the most comprehensive literature on that topic I have read so far. Unveil the truth about why it is essential for competitive brands to learn effective use of today’s exciting new world of influencer marketing. It’s modern-day word of mouth, and you may be missing out!